Adblade Native advertising network details. In a highly competitive online marketplace, Adblade ensures the success of its customers, including both brand advertisers and premium publishers. 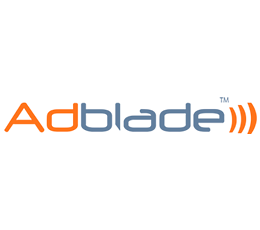 Agencies, Brands and Direct Response advertisers alike and publishers regard Adblade as its first choice for its high-quality, premium-only, brand safe products and services. Since its foundation in 2008, throughout the years, Adblade has been a trustworthy provider of the original content-style native ad. With the employment of NewsBullets® Ad Format, relevant and qualified traffic is delivered to over 300 million real users in the US per month. Also, publishers who desire excellent monetization solutions are provided with powerful sales controls and strong reporting to boost revenue. The close integration of our network with any design provides your audience with perfect online user experience. You can check ADBLADE reviews on Affbank and ask ADBLADE Team any question by using the contacts above, especially about how to earn money! Here you will find some new features, good support, stable payouts. Adblade employs the native advertising model as against the banner ad, pop up or video ads. One great advantage of native ads is user engagement. Adblade fit a need for my company to fill unsold inventory in a unique ad size. We placed the ad calls on story pages, below-the-fold, for incremental revenue.